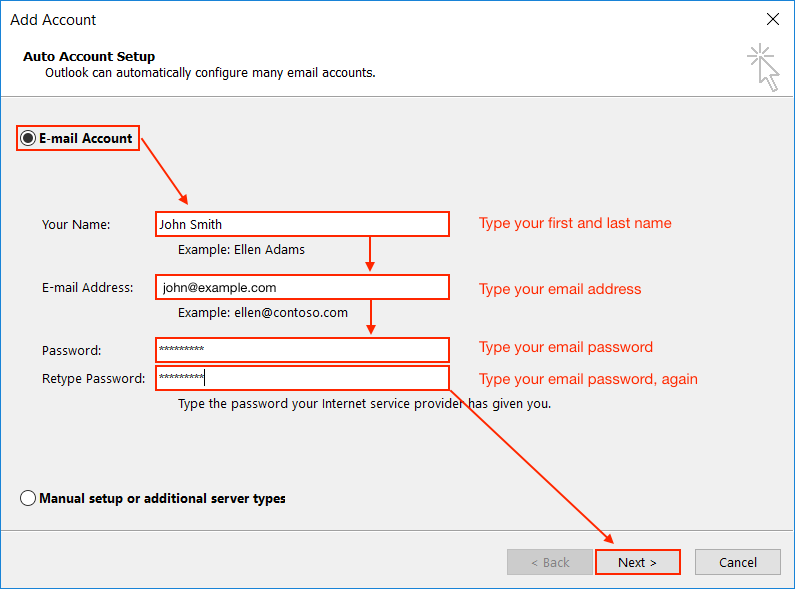 This article shows you how to set up your Just Host email account in Outlook 2016 for Windows. Using a Mac? Try Email Setup Outlook 2016 for Mac. For questions about email settings in general or if you need to locate your Email Configuration Settings, please refer to our Email Client Setup article. 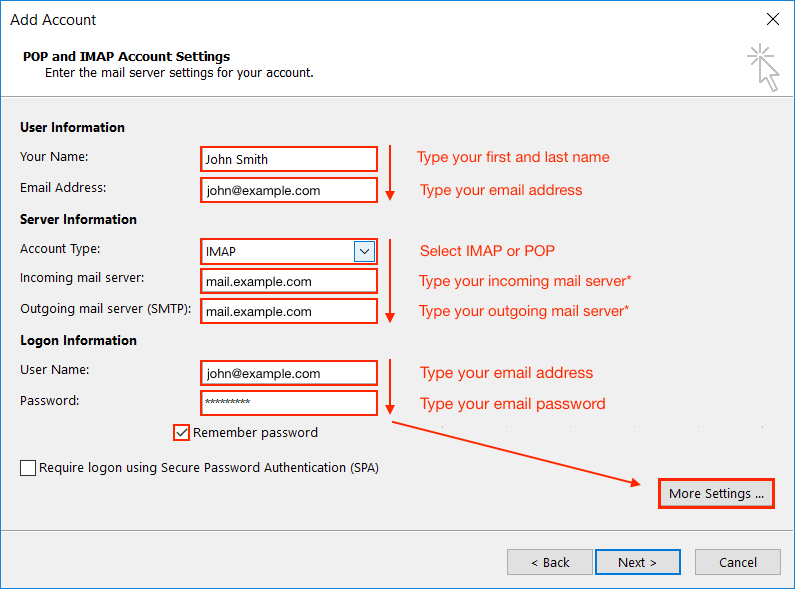 Account Type: Click the drop-down menu and select IMAP or POP. We recommend IMAP. Click the Advanced tab. The server port numbers you'll type here depend on the account and connection type you're setting up. Refer to your Email Configuration Settings, as necessary. If you have any trouble configuring Outlook, double check the settings you've entered and make sure your DNS settings are pointed to Just Host. If your domain isn't registered with Just Host, you may need to update your name servers or MX records.